Viking's executive vice president of marketing on the line's new ships, initiatives and key selling points. Viking’s ever-expanding fleet of European Longships has grabbed headlines year after year—and 2019 will be no exception. AGENTatHOME caught up with Richard Marnell, the line’s executive vice president of marketing, for an update on new ships, initiatives and key selling points. What's new on the rivers that agents can use to help them sell the line in 2019? 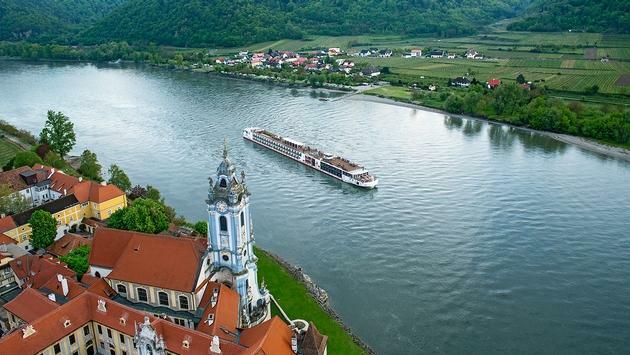 First, Viking is launching seven new river ships in 2019, including six new Viking Longships, which will sail the Rhine, Main and Danube rivers. One additional vessel inspired by the Longships is specifically designed for Portugal’s Douro River. Second, we are always innovating our product offerings to help our guests have the trip of their dreams. Over the years we have seen an increased preference for more free time and more ways to personalize the journey. With the launch of our guest portal at MyVikingJourney.com, we are able to offer a wider range of activities for both our ocean and river cruise guests. It is much easier for us to include options that need advance booking or are offered only on certain days or times of the year. Agents are also able to use the portal to customize their clients’ cruise experiences and bookings, and can earn commissions on optional shore excursions and Silver Spirits beverage packages. And third would be our new Ocean & River Voyages. 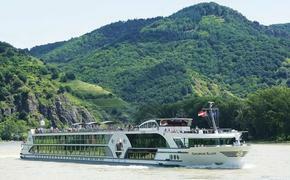 In 2019, Viking is launching a new set of itineraries, which provide the unique opportunity to explore Europe’s rivers on a Viking Longship, before setting sail to Scandinavia or to Spain on one of Viking’s ocean ships. What's the best way for agents to distinguish Viking from its competitors when talking to clients? Our chairman Torstein Hagen has often said that Viking is “the thinking person’s cruise.” Our travel products are for discerning travelers with interests in science, history, culture and cuisine. Travelers know us, if not by positive word-of-mouth, by our innovative marketing and support of cultural partners such as PBS Masterpiece’s “Downton Abbey: The Exhibition,” National Geographic’s “Genius,” Ted, The Metropolitan Opera and many others. Itineraries are designed for maximum time in port, often with late evenings or overnights, so our guests can experience local culture at night or evening performances. We also offer the most choices for agents and their clients. With the largest selection of stateroom categories on the largest fleet of river vessels, we are simply able to offer more options and price points than any other river cruise line. How has the Viking customer changed over the years? It is important to note that Viking may be the contrarian as the cruise industry chases younger travelers. Our typical guest really has not changed that dramatically. We have always targeted experienced travelers, 50 and older, with interests in history, art, culture and exploration. We focus on the destination, rather than gimmicks. And that means we do not try to be everything to everyone. We offer adults opportunities for learning and exploration around the world, with no children, no casinos, no umbrella drinks and no nickel-and-diming. Any other selling points, suggestions or thoughts about how agents can more effectively sell Viking? Agents should know that we are the only cruise line with no NCFs. Only Viking pays commission on every aspect of your booking: cruise, air, optional shore excursions and beverage packages when booked prior to sailing. We provide the training agents need to maximize profits through our award-winning Travel Agent Academy and tools that make it easy [to capitalize] on our Travel Agent Portal. We also have directors of business development throughout the U.S. and Canada who are ready to help.